Spring is traditionally the best time to sell a house. Buyers have long awaited for the low winter inventory to gain spring momentum, and with tax refund checks credited to their bank accounts, spring buyers are looking to invest in their new home. Planning to stage an open house soon? You should start decluttering now. While you may consider it an “organized mess,” prospective buyers will certainly wrinkle their nose at your clutter. Messy rooms and countertops detract from the appearance of your home and fail to showcase its true value. Imagine a scenario where utensils, small appliances, and boxes are scattered across your kitchen or your home office in disarray with files and wires. 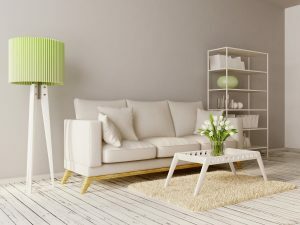 Potential buyers’ attention will only go as far as the obvious mess, and they won’t notice how spacious the rooms are or how the big windows usher in so much natural light. Many buyers decide on a home based on a feeling. Their first impression strongly determines how they’re going to feel about the home they’re in. An untidy home also indicates that the sellers are not making much effort and are probably not even serious. Why take on this unnecessary risk and give your home (and yourself) less credit than what you truly deserve? Decluttering gives you an opportunity to get rid of items you don’t need and to keep those that you do. You can have a garage sale or donate to a charitable institution. When you’re disposing of items you don’t need, make sure you include items in the kitchen. It’s time to rid yourself of storage containers without lids, old appliances and old cans of food you’ll never eat. Once you are ‘out with old’, it’s time to start organizing the items you want to keep. examine the interiors. It should show them how the rooms can be used, but allow them to visualize how they’d live there. Organize bookshelves methodically, arranging small books, big books, and CD and DVDs on separate shelves. Temporarily stow away exercise gear in the garage. Use small storage bins to store and organize toys, knick-knacks, office supplies, and utensils. We sometimes tend to put too many items on our nightstand, and seldom find time to organize them neatly. Keep only essential items displayed and decorate with a lamp and a book or two. If some of your indoor plants are wilting and you suspect they will die soon, it is best to substitute them with healthy plants. This will make the space more attractive and add a positive vibe. Make sure the bathroom is clean (toilet seat should be down always), taking care to remove toothpaste or shampoo stains from the tiles and hair from the tub. If empty shampoo bottles or sachets are creating a mess on shelves, trash them! Show don’t tell. Make it clear to buyers how the space can be used without overdoing it. Are your kitchen cabinets dated and unappealing? You can paint or stain them in a trendy color or replace all the hardware to spruce them up. Buyers love to see stainless steel appliances. Here again, you have the option of buying new ones (especially if your current appliances are approaching their warranty expiration date), or applying a stainless steel stick-on covering to create a modern look. As long as they’re sparkling clean, they’ll be fine. Rent a storage unit and remove any unnecessary items. Only keep functional furniture and non-personal art. Kids drawings, family photos, and baby tubs should be out of site. Do different rooms in your home have different styles that clash with each other? For instance, is the living room done up in a classic style while the bedroom has leopard print wallpaper? The inconsistency may discourage some buyers, so you want to brainstorm on creating a cohesive look without spending too much money. If the master bedroom is done up in pastel pink, it may not appeal to single men or older couples. It is advisable to have the rooms painted in neutral colors and accessorize with complimentary items. When in doubt, go neutral with ivory, grey, white and light pale blues. Patterns aren’t the best option if they’re bold. Pet odors, the smell of cigarette smoke or overwhelming incense fragrances can be off-putting for some buyers. Have carpets and upholstery professional cleaned and deodorized prior to showings and open houses. You don’t have to spend a dime. The biggest way you can advocate for the sale of your home is to remove all excess items, clean top to bottom and depersonalize your space. If you have room in your budget to spruce up the curb appeal by adding some potted plants, painting your front door a fresh color, neutralizing the paint colors on the walls of your home and replacing hardware, you’ll be in terrific shape.